Eddie Cross's opinion piece of December 29, 2018 titled "How long oh Lord, how Long? ", in which he lambasts lousy government, corruption, nonsensical monetary and macroeconomic policies, concludes that "the problem is one word: leadership". In this article, I am complementing his observations and prescribing the leadership antidote that can save us from further pounding and battering. Our leaders destroyed a functional economy inherited at independence through neopatrimonialism, and practices whose very criminal nature is patent, and predation, notwithstanding colonial inequalities. There was also the systematic destruction and subversion of inherited bureaucratic institutions, preferring loyalty, reward and patronage, in exchange of competence and independence, which all sum up to bad leadership. Our country is blighted by severe problems of perennial political conflict, political instability, Gukurahundi, patronage politics, populist policies, both covert and overt electoral violence, stolen elections, suppression of free participatory forms of democracy, lack of human rights and human freedoms, suppressed civil society, and now the soft coup. sustainable human and economic development. Add to that, run-away corruption where neopatrimonialism provides a moral cultural gloss which somehow renders it (corruption) understandable, and its victims complicit. All these problems have provided appropriate cover for our past and present plundering political leaders to accumulate wealth at unimaginable levels in the predatory State that they have conveniently created and sustained through a brutal dictatorship. In determining the necessary leadership antidote to save our country, it is important to look at the leadership styles in the few contemporary African political economies that have stuttered to some positive developmental life, even though they still have a long way to go themselves. For over a decade, Ethiopia, a poor broken and troubled nation registered double digit real economic growth as one of the 10 fastest growing economies in the world. This is hugely attributed to Meles Zenawi, a tight-fisted paradoxical who embodied the traits of a brutal totalitarian dictator with benevolent politico-ingenious that propelled the country to rocketing economic progress. He was a tough man in a tough place, ready to take tough decisions and trample democracy to put in place constitutionally-respected ethnicity, nationality and religious laws that will institutionally sustain the trajectory that he set. Under Akufo-Addo, Ghana's economy has shown first signs of growth in over five years and is making progress in macro-stability, fiscal consolidation, tax and monetary reforms. Akufo-Addo is an ambitious benevolent firm-hand uncompromising leader who is being compared to Donald Trump, and whose unilateralism may contradict democratic institutions. Rwanda emerged as a collapsed state from a tragic genocidal ethnic war in 1994 and negotiated political stability through a truth and reconciliation process, and has achieved phenomenal economic revival and accelerated development under Paul Kagame. Kagame fits the mettle of a benevolent firm hand autocratic leader with situational, alchemist and transformational qualities. He is also repressive and stubborn, and displays an acerbic aversion to fair political play and democracy, more as a way of protecting the country's hard-won political and social stability. He is developing strong governance institutions based on accountability, participation and peer review, which can anchor democratisation. John Pombe Magufuli, a tough, tight fisted, reformist/transformationalist nicknamed the Bulldozer, took charge of Tanzania in 2015. His approach has been hailed as a first in Africa, and seen as a fresh start for his party and country. His style is now monikered Magufulification economics. He is displaying all tenets of a benevolent firm hand autocratic leader, riding roughshod all institutions considered as corrupt, practising austerity from a personal to a national level, and breaching both law and democracy where he deems necessary. The good state of Botswana's economy is attributed to a professional and competent bureaucracy, efficient inter- and intra-state agency coordination, and conscious disciplined leadership, in a (lone) functional elite democracy in Africa. The institutions have been developed over a long time and can now resist and withstand any potentially negative leadership. The legendary story of Thomas Sankara and Burkina Faso is important as an early example of charismatic visionary developmental firm hand benevolent leadership style and market reform based economic approaches in Africa. Sankara preached and practised austerity in real terms, and bequeathed a legacy of leadership to current and future generations of new Africans. He has come to be known as a leader before his time. Our Mr Mnangagwa may be a leader past his time. Best before 2000. Mozambique achieved phenomenal infrastructural development in the presidency of Armando Guebuza (2005 to 2015) but very little else, apart from the discovery of budgetary malfeasance of gigantic levels that shuttered the country on his departure. Guebuza was perceived as a severely corrupt party hardliner who understood money, and created links between private and public sectors through building nepotistic, crony companies around young, educated, and most importantly, tribal party loyalists. Nicknamed Mr GueBusiness, he remains one of the wealthiest persons in Mozambique. He did very little to reform the governance system. The reason I bring up Guebuza is a very interesting analogy to our Mr Mnangagwa, a party hardliner with serious connections in private and public business and who understands money, currently seen as promoting cronyism, tribal and nepotistic appointments, widely seen as corrupt, and believed to be filthy rich. Their political CVs are strikingly similar, from the tender age of 20, with identical ups and downs in their respective parties, and similar relations with their former bosses and mentors. They are both 76, and it is inescapable that they are personally acquainted for over four decades. I fear a mirror performance. Zimbabwe has rendered useless, all but destroyed, institutions that can underpin the practice of full free western-style democracy. Although we now have superficial freedom of speech, corruption, cronyism, electoral foul play and suppression of human liberties and civil society remain serious indictments on the political leadership and negatively impact prospects of economic recovery. 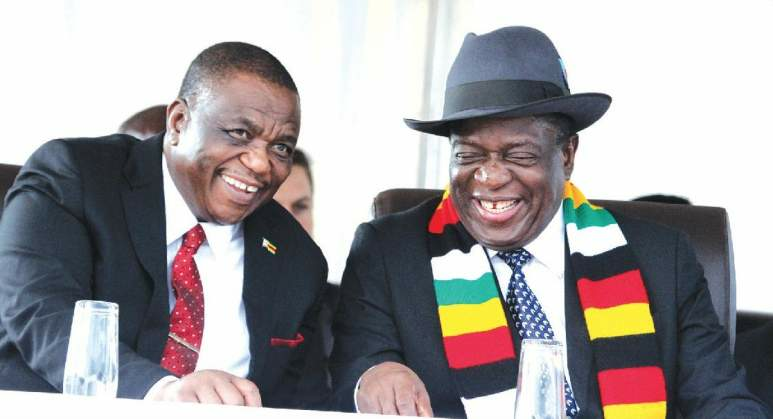 Mr Mnangagwa is unlikely to institute deep and frank truth telling and reconciliation needed to resolve past conflicts such as Gukurahundi and the 2008 post elections conflict in particular. With the free falling economy, he is even less likely to agree to wholesale electoral, judicial and other reforms that would include a security sector reform agenda, de-militarisation of national politics, and the capacitation of oversight bodies. To overcome these hurdles, we require a strong transitional benevolent autocratic leader who can challenge the establishment and trump-drain the swamp. A no nonsense person who brooks no fear and who will do what is right for the nation even if it is against the present laws (that find Wicknell Chivayo entitled to reinstitution of the ZPC contract and to collect a further $25 million dollars of public funds). A leader of steel that will destroy resistance from the party and establishment remnants of the second generation of corrupt, accumulative successors to the first generation independence squanderers. Mr Mnangagwa does not appear to have the spine. In the absence of Mugabe the strong, brutal and callous man, before whom many crawled (we haven't seen that for a while) many forces appear to be at dominant contradictory play in party and governmental politics. Too many people collecting rent, and too many pots calling kettles black. Pseudo democracy and pseudo rule of law. He will not combat corruption, let alone implement the Motlanthe recommendations. He is not a Kagame, Magufuli, Sankara or Zenawi. He is the class of Guebuza. Zimbabwe has great potential for sustainable human, social and economic development. She has historic and legacy issues that require resolution, and she needs to make clear policy choices. The critical challenge is political will and commitment to austerity, reform and transformation. The advent of younger and more veracious leadership with no historic allegiance to the anticolonial struggle, with no claims to entitlement, but with real aspirations for progress and economic development provides hope. But, even within the opposition movement, there are hungry marauding vultures waiting for their turn to eat, and with zero rudimental understanding of real and genuine democracy. The answer is a transitional benevolent autocratic ruler. The question that lingers is: How can Zimbabwe identify and select the ideal firm hand benevolent autocratic leader that will heal, reform and transform the nation, and lay the foundation for democracy?